Cuscatlan Salvadorian Cuisine | The Best Pupusas Around! The cuisine of El Salvador is rich and varied. This Latin American country is flanked by Pacific Ocean to the south, Guatemala to the northwest, and Honduras to the north and east – all of which result in a colorful and flavorful cuisine. Your Passport To Cuscatlan Awaits! 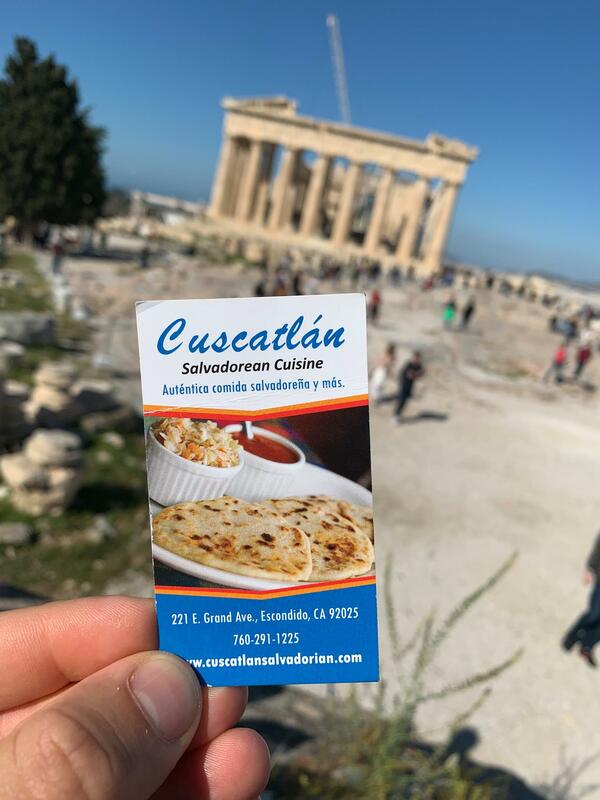 Cuscatlan has been in Escondido since 2012 and has been established as one of the best Salvadorian Cuisine restaurants around. Don’t take our word for it, come on in and try our delicious food out yourself. We are looking forward to meeting you here soon! We take pride in making our food fresh for you, so when you come in your mouth will be tantalized by the flavor of our home country. Our pupusas are made with thick, griddled corn cake with a savory filling and filled with either cheese, beans or pork. This popular native street food of El Salvador is made using a yellow corn flour called masa harina. This Pollo Guisado is a stew prepared with chicken and potatoes and accompanied with vegetables. it’s rich in flavor, colorful and healthy, Served with rice and tortillas. Fried whole fish that is seasoned, lightly fried and simmered in a very light sauce. Served with rice and tortillas. This is very flavorful and the variety of fish is Talapia. Tender chunks of stewed beef simmered in fragrant brown gravy with potatoes and seasoning. Served with rice and tortillas. This is a classic recipe that is very popular. Sauteed Shrimp in tomato sauce seasoned to perfection, with onions and bell peppers for that luscious flavorful taste. Served with rice and tortillas. Our Customers Rave about our Cuisine! (translated to English) I love the food, the good service the waiter Sebastian very attentive, no doubt I return to this place. We have delicious specials, so come on in and try them out!